This durable and versatile two-tone, poly canvas tote keeps you organized on the go. The main zippered compartment is big enough to carry larger items such as tablets and notebooks while the front and side pockets give easy access to pens, business cards or cell phones. 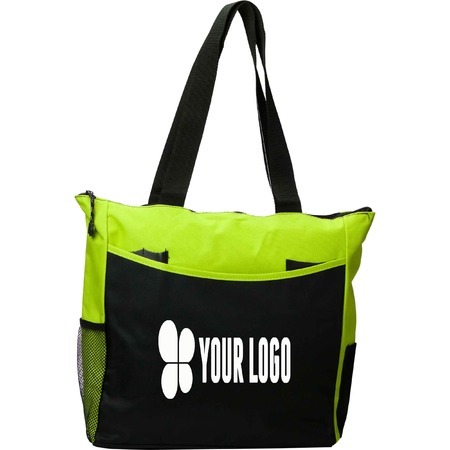 Customize with your logo and you’ve got the perfect tote to promote your brand wherever you go.